Were excited to post the first of a number of fantastic maps that Kerim Bayer has been kind enough to share with us. There will be more of these to come, and hopefully at some point soon Kerim will have a website of his own where people can enjoy the full extent of his collection online. 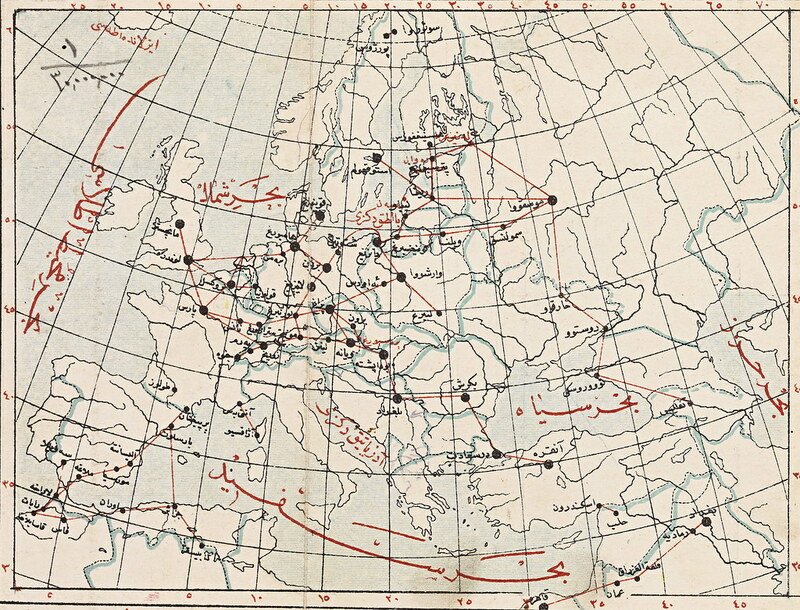 Following up on all our earlier maps on train routes, it's strange to remember that at one point planes had routes too. They still do, of course, but now the actual flight path seems a little beside the point. In-flight magazine maps show all those looping lines connecting cities with no regard for how the plane actually travels between them. The precise paths of an earlier era are now mostly familiar to us from Indiana Jones movies. 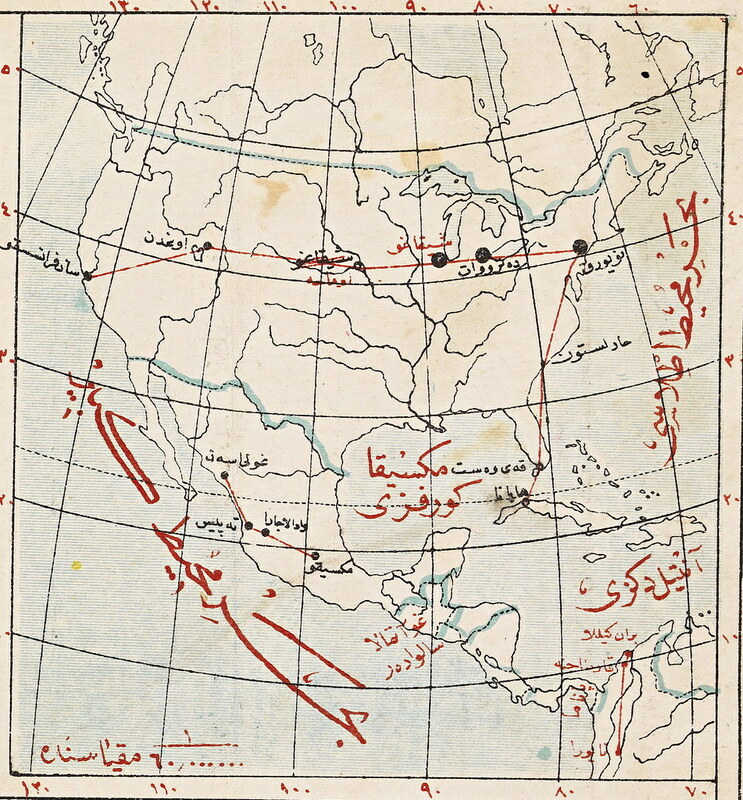 Among other things, this map, from an early Republican atlas, also shows some continuing trouble with US geography. They seem to have first placed Chicago somewhere in Nebraska before relocating it and renaming that town Omaha. Other transliterations include Detruvat (MI), Harlston (SC) and Key Vest, on the way to Havana.